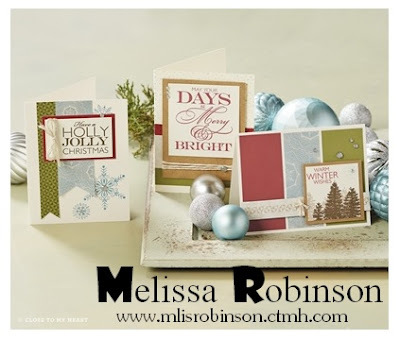 I cannot believe I created 15 Christmas cards today while watching some college football. While I still need to make some more before December 25th arrives, it's a great start! I think this is the first time I have ever had this nice of a head start and it feels good! Why not join me? These were the card samples as designed by designers at Close To My Heart. 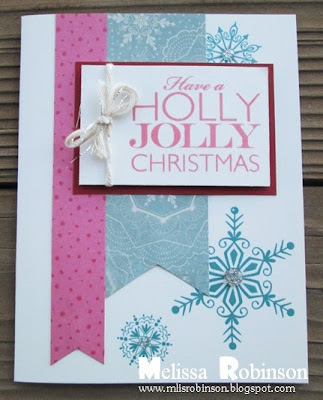 I made 15 cards - five each of three designs - using our Frosted Workshops On the Go Card Kit (shown below). I did switch out Olive cardstock for Cotton Candy cardstock and really like the results; just a nice and different twist. Here are the three cards I created.. I used the guide provided with the kit and followed it almost to a "T". It was nice not having to think but just create. The Frosted Card Kit is just $24.95 - that's just $1.66 a card - and you still have supplies left over to make additional cards if you choose. What a deal and who on your Christmas card list would not enjoy a handmade card from you? If you would like to purchase a kit of your own, please visit my website. 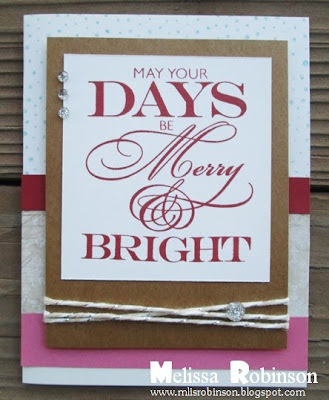 The card kit can be found by clicking here. Let me know if you have any questions.